Legislative mandates such as No Child Left Behind1 and the Individuals with Disabilities Education Act2 require that students with disabilities not only be exposed to the general education curriculum, but demonstrate progress in it as well. This includes students with autism spectrum disorders (ASD). The Centers for Disease Control and Prevention estimate that one in 110 children are diagnosed with ASD.3 As a result, more students with ASD are being included in the general education setting, and teachers are faced with the task of determining strategies that will help students with ASD succeed in the classroom. Although the task may seem daunting to teachers, students with ASD can and do learn.4The first critical step in this process is to understand the unique characteristics of ASD. A neurological disorder that typically appears before the age of three which impacts development in social and communication skills. Also called “atypical autism,” PDD-NOS is very similar to autism. The difference is that only some (but not all) of the criteria associated with autism are present. The highest functioning sub-category; children with Asperger Syndrome usually do not have language delays, but struggle with social interactions and obsessions. Found only in girls; children begin developing on target but later lose communication skills. Similar to autism, but appears at an earlier age with a more dramatic loss of skills and a greater chance of having intellectual disabilities. Intelligence quotients range from having a severe intellectual disability to being gifted. Although the range encompasses a wide spectrum of abilities, all five sub-categories cause impairments in social, communication, and behavioral skills. Below is a list of impairments for each domain. Social cues: Children may have difficulty understanding social cues and reading others’ nonverbal gestures. Sharing: Children may display problems with sharing or waiting for a turn during a game. Eye contact: When having a conversation, children may not look directly into the eyes of the person speaking; this is thought to be a self-regulating strategy to compensate for visual input difficulties. Social interactions: Children may lack the skills, ability, or understanding to make friends, initiate contact, and maintain social interactions. Responsiveness: Children may be more interested in “things” than in people, and may lack interest in responding to other children. Functional language: Children with ASD are often echolalic — repeating what others say. Verbal language: Forty to forty-five percent of students with ASD are nonverbal. Reciprocal conversation: Children may have difficulty in the natural “give and take” in a conversation and may talk only of their obsessions. Imitation and comprehension of language: Children may demonstrate hyperlexia— an above-average ability to read with a below-average ability to understand spoken or written language. Unusual obsessions and compulsions: Children may become preoccupied with a single television program or with arranging objects in lines or stacks. Unusual sensory experiences: Children with ASD may be hypersensitive to touch. Repetitive use of objects: Stacking or lining up objects, for example, may become a fixation. Self-injury: This is common in more severe forms of autism. Children may, for example, bite themselves. Splinter skills: Children may be highly skilled in one area, such as painting. 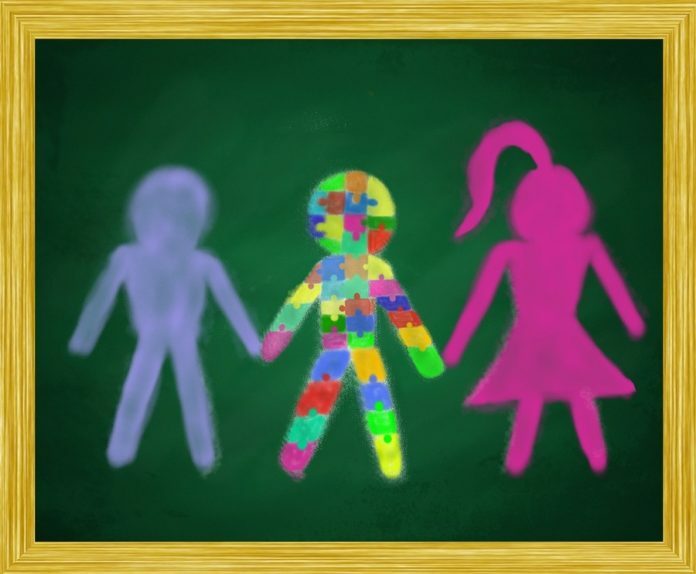 To round out this brief summary of autism spectrum disorders: About a quarter of children with ASD also have epilepsy; four out of five children with ASD are boys; and girls usually have more severe symptoms. Some children with ASD may have poor motor skills. Although knowing the general characteristics of ASD is helpful, teaching strategies for students with ASD still need to be individualized, and it is important for teachers to realize their expectations of their students. Children with ASD often have visual-spatial strengths.5 Knowing this, teachers can modify their instructional strategies in a number of ways. First, teachers should demonstrate and model expected skills. For example, if the teacher wants a student with ASD to place his book bag in his cubby when he gets to class in the morning, the teacher should demonstrate exactly how to do this. Next, teachers should provide visual schedules of the day’s events in a location easily seen by the student. (Wisconsin’s Cooperative Educational Service Agency offers a usefulpage on visual schedules.) A visual schedule can be written out and paired with picture symbols to increase understanding. A teacher can also provide individual student schedules attached to the student’s desk for accessibility. Both types of schedules can be created using Boardmaker, a program that pairs text with picture symbols, which can often be acquired from the school’s speech pathologist. This slideshow shares examples of picture symbols and discusses how they might be used to facilitate communication with students with autism. Additionally, teachers should work to make eye contact with the student and expect to acquire the student’s attention. This can be challenging because students with ASD may have difficulty maintaining eye contact due to difficulties with modulating visual input. Close proximity with a verbal reminder — a gentle, “Josh, look at me” — can work well. However, even if the student is not looking directly at the teacher, the teacher should know that he or she may still be listening. Checking frequently for understanding can give the teacher assurance that the student is, in fact, paying attention. Teachers can adopt other strategies to increase motivation in students with ASD, such as allowing short breaks between teaching sessions and providing time for the student to be alone if needed. Reinforcement is another crucial strategy in developing and maintaining motivation in a student with ASD. A reinforcer is an object or activity that the student likes, which can be presented after a behavior to increase the frequency of that behavior in the future.6Teachers may reinforce a non-preferred activity with a preferred activity, contingent upon task completion. For example, if a student has difficulty maintaining focus on a math assignment (non-preferred activity), she can spend five minutes using the computer (preferred activity) after completing her math work. In order for reinforcement to work, a teacher must know a student’s preferred reinforcers. As a result, conducting a preferred reinforcer assessment prior to teaching the student with ASD is very important. If the student is unable to verbalize his preferred reinforcers, the child’s parent or other caregiver could provide this information. Alternatively, the teacher can determine preferred reinforcers for the student by presenting one or more objects or activities contingent on the desired behavior (such as the student’s completion of a math assignment) and examining their effectiveness on increasing that behavior in the future.7 In other words, does giving the student time to work on the computer after completing the math assignment increase the student’s motivation to complete another math assignment in the future? If not, then the computer is not a reinforcer. The quicker the reinforcement is given after a student with ASD has completed a teacher-requested activity, the more powerful the reinforcer will be. 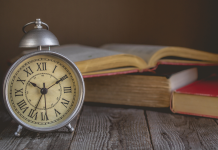 If a teacher waits for two hours before delivering reinforcement for a completed activity, the student with ASD might not make the connection. There are numerous ways for teachers to modify activities and materials to meet the needs of students with ASD. In many cases, modifications that are appropriate for students with learning disabilities can also be useful for students with ASD. For example, adjusting the number of items that the student must complete can be helpful, such as requiring the student to complete only the even numbers on a math activity. This helps maintain the student’s attention without overwhelming her, while giving the teacher enough data to determine if the student has mastered the skill. The time allowed for completing assignments can also be adjusted, giving extra time if needed to accommodate fine-motor deficits. Teachers can also increase the level of support that the student with ASD receives during a lesson, such as peer or paraprofessional support during math instruction. Another useful modification is varying the response modes for the student. For example, a student who struggles with writing may be allowed to type responses or verbally answer questions. Modifying the student’s environment so that he or she can learn successfully is another consideration. The location of the student’s desk and materials is important. The desk should be as close to the teacher as possible and should face the front of the room. A quiet zone in the classroom is helpful when the student becomes “overloaded” with stimuli. Sensory materials, like a bean bag or stress ball, and sensory-blocking materials, like earplugs or earphones, can increase the student’s level of engagement by occupying or isolating a particular sense. Some students with ASD do not tolerate noise very well, so having the option for the student to request using the quiet zone with earplugs may calm the student if he’s feeling overloaded. Teachers should always supervise social interactions, and can offer valuable support by providing specific social rules and reinforcing positive social interactions. This can be done by posting specific social rules easily visible and understandable by all students, and reviewed periodically with the class. Teachers should recognize that a student with ASD may want to interact, but may not know how. Helping the student change topics of the conversation when necessary, rehearsing strategies for social interactions, and using classmates as peer models (e.g., video modeling of a desired social skill) are notable strategies, as well as providing “scripts” of what the student should do in particular social situations. Social stories are short stories, written from a child’s perspective, that describe appropriate behavior in particular social situations. Social stories can be used to teach social skills to students with ASD who may have difficulty understanding how to behave in certain circumstances. Examples of social stories can be seen in the following documents. It is also important to consider the preparation of classmates in understanding the student with ASD. Reading a book to the class is a great way to help students learn more about ASD and their classmate. (One recommendation for younger students is Since We’re Friends: An Autism Picture Book .11) Some regional organizations, such as the Autism Society of North Carolina, provide speakers to visit classrooms to talk about ASD. The first and most critical element of developing strategies to support communication in a student with ASD is teacher knowledge. Teachers must begin with an awareness of the student’s communication abilities. It may be helpful to remember that every behavior is an attempt at communication. If the student has no functional language or is nonverbal, it is imperative that teachers use nonverbal communication — such as pairing gestures with speech, or pointing to the science textbook in the student’s desk while asking students to get out their science textbooks. In this brief video, speech-language pathologist Carrie Elam uses picture symbols to communicate with a student with autism during a painting project in art class. Teachers should try to determine communicative attempts displayed by the student’s behavior. For example, if a nonverbal student with ASD screams halfway through literacy instruction and the teacher allows the student to stop the activity, that student has successfully “escaped” the undesired activity by screaming. An alternative scenario might involve the teacher instructing the student to communicate needing a break by handing the teacher a picture symbol for “break” — however, the teacher should always have the student return to the activity after taking a break to ensure that the student does not use “break” to escape the activity. Reinforcing the correct behavior (asking for “break” appropriately) and ignoring inappropriate behavior (screaming) can be a successful strategy. Additionally, teachers should use concrete language to eliminate abstract concepts. Many individuals with ASD are quite literal and may misunderstand abstract sayings. For example, if a teacher comments on the weather by saying, “It is raining cats and dogs out there,” the student with ASD may be very confused as to whether that is possible! Consistency and routines are extremely important to most individuals with ASD; anxiety issues play a big role in this need.12 As a result, teachers should prepare and explain any changes to the daily routine. 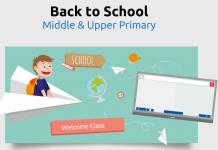 For example, an assembly at school one day would prompt the teacher to put either a picture symbol or text on the schedule to reflect the change in routine. A few minutes before the transition, the teacher would give a verbal (and/or visual) reminder of the upcoming event. These approaches would lower the potential for anxiety for the student with ASD. Finally, when planning activities, it is imperative that the teacher use age-appropriate materials with students with ASD, just as with all students. Even if the student loves Elmo, the teacher should not incorporate materials or reinforcers involving Elmo if the student is in seventh grade. This would only single out the student in a negative way. The paraprofessional is vital for the student’s success in the general education classroom. Often, the paraprofessional is the school staff member who best knows the student with ASD. However, he or she should not be expected to have the same amount of responsibility as the teacher. The paraprofessional can work with the student in a one-to-one format if feasible, in small-group instruction, and in large-group instruction. He or she should follow and implement all academic modifications made by the teacher, and should promote the daily social interactions of the student with ASD and classmates. Even more importantly, the paraprofessional should be very familiar with the student’s behavior plan and implement it consistently; otherwise, the plan will not work. Finally, the paraprofessional (and the teacher) should refrain from using negatives (“No,” “Stop that”) and instead tell the student directly what he or she wants the student to do. This will ensure that the student is learning the expected behavior. Establishing a strong partnership between home and school is essential to making the inclusion of students with ASD successful. Students with ASD often have difficulty with generalizing a newly learned skill to another environment, so if skills taught at school are not reinforced at home (and vice-versa), the student may be unable to generalize the skills he or she acquires in the classroom. Offering parents a chance to observe a portion of the class can help them visualize strategies explained by the teacher. Teachers, in turn, can consider the home setting before developing behavior plans, and can then train the parents on how to implement the plan to ensure its consistency. The special education teacher and the speech pathologist are both good resources in this collaboration. Finally, knowing parents’ goals for their child and including those in the IEP is important. Parents obviously know their child better than anyone, so their input is critical. Because of the tremendous diversity among students with ASD, there is no “one-size-fits-all” strategy. The attitudes of the teacher and paraprofessional can determine the success — or failure — of the student with ASD in the general education classroom. Teachers who provide appropriate environments, employ proven behavior-management strategies, and welcome students with reasonable but challenging expectations will see that students with ASD can make great gains in socialization, communication, and academic achievement. If educators enthusiastically approach the idea of teaching a student with ASD in their classrooms and are willing to try new methods and use them consistently, the rewards will be worth the hard work.